In addition to training solutions, SPOCE also offer a number of products and services to assist with the learning, implementation and application of best practice approaches. SPOCE's Project Management Guides (PM Guides) are practical tools for using the PRINCE2® Project Management Methodology across your organisation. The PM Guides are available either as a stand alone tool, or as part of an implementation package. 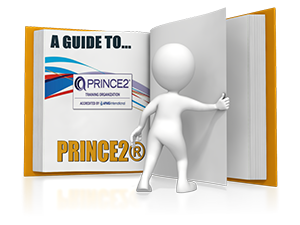 SPOCE uses a series of online "PM Guides" to speed up the implementation of PRINCE2®. They a set of five structured guides that describe how the project environment works. Projects are classified into one of three different 'levels' (simple, normal, complex) using criteria such as time, cost, risk, project nature, resource experience, etc. Once these criteria are defined, clearer guidance can be given on the levels of control that are required for each project. Within each project level, the PM Guides will give step by step advice on what should be undertaken to ensure projects are sucessfulyy completed according to what is expected by the organisation. Backed up with template documents and a 'techniques section', the PM Guides are intended to be "fluid" so that as the understanding and maturity of project management increases, the PM Guides can be modified. SPOCE can provide the source files and a continual license for its PM Guides. This license authorises an organisation to develop, host and print all elements of the PM Guides. The source files provided enable the organisation to make modifications to the templates and update as necessary on an ongoing basis. A series of half-day workshops will then be held with the 'Theme Leaders' to match PRINCE2® to your organisation's environment. Managing Projects Guide ‐ a step-by-step guide for managing each type (or level) of project. Techniques Guide ‐ Explaining how your organisation carries out various areas of project management (i.e. risk, planning, etc). Templates Guide ‐ A full set of project templates that have been tailored to your organisation. Accessible directly from multiple points in the online PM Guides, the template documents are provided by SPOCE, and then modified by your own resources with the help of SPOCE. The PM Guides should be reviewed by your resources prior to being launched. Launch is usually a half day demonstration, with open surgery for handling questions. These five steps provide a complete PRINCE2® online guide, tailored to your organisation's project types. The timeframe for this process depends on availability of your people to attend the workshops. The process should not take more than 2-3 months. We would advise that you have somebody assigned to owning the PM Guide (i.e. a Project Management Office) for ongoing responsibility of maintaining the standards and feeding back lessons into the guide.